Natural calamities such as floods, droughts, cyclones etc happens all over the world according to the severity in weather conditions. Every year the number of forcefully displaced population due to these natural calamities may mount up to millions, and sometimes they sprout into international attention. The latest addition to this group are the flood victims in India, from the southern state of Kerala due to the torrential rain triggering the biggest chain of floods and landslides faced by the state in a century. How Kerala, dealt with this crisis makes the story quite different from the rest of the world. How the people of Kerala kept the ground below their feet is quite an amazing story, an inspiring one for millions of other people on how to deal or even control a crisis situation with limited amount of resources. Kerala, an Indian tourist state criss-crossed with 44 rivers and 42 dams and reservoirs built across them. Tasked to provide hydro electric power and to control floods, these dams were also a tourist destination which attract thousands of visitors annually. During Monsoon, Kerala is often flooded with tourists who come to enjoy the atmosphere of this raining paradise. This year, things were not same for Kerala and Keralites. When this year’s monsoon started on May 29, things looked normal the usual amount of rain came with the South-Western winds, but throughout the latter part of the initial phase of monsoon, rain was not following a usual ‘procedure’ or ‘code of conduct’. 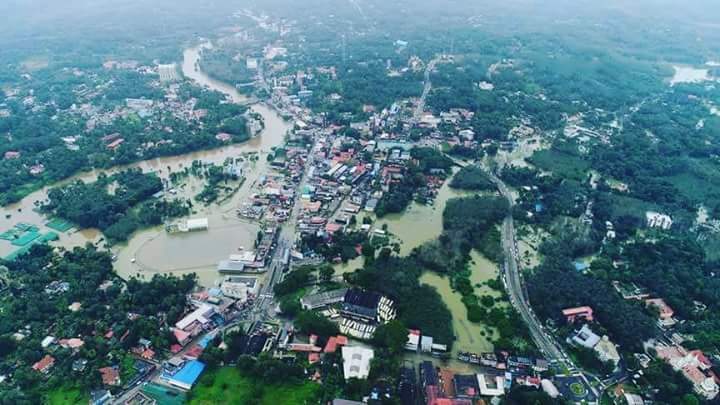 During the second week of July, rain took an intensified form causing several parts of Kerala facing severe floods, but the fury of the nature didn’t last much longer and Kerala returned to normal life. But the real wrath of nature was yet to be unleashed. During the month of August, monsoon rains took a much fearsome form, literally meeting the expectations of the rainy Malayalam month of ‘Karkkidakam’, but a really daunting situation was yet to follow. Amidst the heavy rains, the inflow of water towards Kerala’s 42 dams increased into an alarming rate, but it was just the beginning of the complexities that created havoc, throughout the state. Official warnings were given to the public about the escalating water levels of almost all dams in the state creating cautious situation in almost all districts. Rumours of the opening of several dams along with the official alerts triggered a nerve-racking situation among public. But rain took a short break during the second week of August. This led to the official alerts to lose its gravity and the rumours to be vanished along with the occasional ‘drained winds’ of monsoon. Soon after a day’s break the monsoon regained its dignity and was in full swing. On August 15, while India cherished its independence memories in celebration, Kerala was not it in a state to celebrate the occasion; it was confronting a crisis situation. With most of its dams opened including the Idukki dam, the largest dam in Kerala, were out flowing water on an unprecedented level due to the increased inflow triggered by the torrential monsoon rains. This gargantuan outflow of water from dams combined with the torrential rains created serious havoc along the banks of the downstream of various dams. Areas which were not being flooded in a century were seeing two storey buildings getting fully submerged by this ruinous flow of water. The August flood that devastated much of Kerala was the greatest in a century, creating a massive displacement of human population and substantial damage to infrastructure. The Indian state, which was praised for its high human development index, literacy, and healthcare, now laid waste because of its confrontation with the nature’s wrath. Unlike many of its sister states, Kerala was swift to act and didn’t stay idle until help came from outside. The state took control of the situation. Keralites who are best known for their survivability and adjustability rose to the gravity of the situation. The Indian bureaucracy, who are infamous for their slowness and time consuming nature shed their prolonged retard nature and searched for every possible way to pull the state out from this misery. District Collectors, a position which holds both revenue and judicial authority of a district, acted swiftly and many of the state’s resources were pooled together and made to good use. Local volunteers supervised by the District authorities along with the Police and Fire Brigade were the first to respond to the flood affected areas. Nearly two million were directly affected by the floods, leaving people stranded and homeless. While the nation was celebrating the memories of independence and mourning the death of a former prime minister, Keralites were busy battling the feral waters which just invaded into their living space. Seeing the crisis situation, as per the direction of the central government, the National Disaster Response Force (NDRF) and other armed forces rushed to the scene, to participate in the rescue operations. Thousands were either rowed or air lifted to safety and admitted to relief camps regardless religion, caste, creed or social status. The rescue operations were swiftly moving forward so was the rain, making it difficult for the helicopters to carry out rescue operations. While the NDRF and armed forces were conducting modern method-wise rescue operations, the district authorities did make use of the alternatives; Fishermen. Hundreds of fishermen along with their fishing boats were called to assist the rescue operations. The authorities thought of making use of their experience at sea by providing assistance in rescue operations but they proved otherwise, when deployed they proved that they can be put to good use rather than mere assistance. “It can go through a narrow line. We will have 2-3 persons on board, the engine driver, the path guide and a helper. In addition to that we can board 10 people safely. A minimum depth of 50 centimetres is enough for the boat to move and we are equipped with wooden poles to transverse ahead safely” says a fisherman who participated in the rescue operations. The fishing boats designed to tackle the savage waves and weather of the sea was quite the ‘machine’ to deal with these perilous waters. The narrow design of fishing boats allowed them to travel even through the narrow streets in search of stranded groups of people. Meanwhile, the rescue operations were delivering people to safety, the rest of the state who were out of the reach of the flood, were not sitting meekly by and watching the crisis as spectators. Instead they were putting together resources to host these displaced population and facilitating them with food, clothes and other basic necessities. Tonnes of food materials, clothes and medicines were collected by different political, religious, cultural and social organizations and were distributed among the affected people. This made sure that none of the relief camps facilitating the displaced population met with resource shortages. Social media like Facebook, Twitter etc, were used for passing information about the stranded groups of people, who were later rescued by coordinated rescue operations. Keralites who are familiar to social media activism and online sarcastic trolls used their social media experience and transformed the social media platforms into online control rooms. Not only the public but also the government machineries, especially the District authorities were harnessing the benefits of social media connectivity, predominantly for the collection of relief materials from the public. District authorities opened collection points and informed the list of needful items through social media. Keralites responded whole heartedly to the call of their ‘district care takers’ and the relief camps were flooded, not with water but with relief materials. Thus Kerala did the herculean task of reinforcing the relief camps with necessities, through a collective effort monitored by the government authorities. While the rescue operations were nearing completion, more than a million people were in official relief camps and nearly a million more were also displaced to other secondary locations. 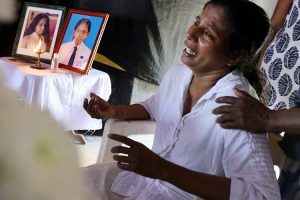 Due to effectively coordinated rescue operations, the death toll was restricted to a few hundreds, majority of it were caused by landslips and landsides. Kerala dealt with the crisis in a civilized, responsible and educated manner, and survived the crisis without a mammoth number of casualties. They pooled in their resources with swiftness and alertness in their hour of greatest need and survived as one, regardless their religion, caste, political affiliation etc. They set a great example by surviving an immense crisis, both in intensity of the calamity and the number of people it affected. Now, the state which was glorified as a model state, has started to rebuild from the very own foundations once it stood with pride. Let’s hope Kerala, which is already back in its feet succeed in the challenge of rebuilding herself into former glory. Thank you, Ceyriac for an account focussing on the essentials.